About Richland Chambers LakeRichland Chambers Lake SubdivisionsRichland Chambers Lake CitiesRichland Chambers Lake SchoolsWhy Richland Chambers Lake? Richland Chambers Reservoir offers waterfront homes, individual lake lots and acreage tracts with full use of the shoreline. Now is the best time ever to take advantage of this secluded Texas Lake. We live, work, and ENJOY the Richland Chambers Lake and take great pride in being your resident Richland Chambers lake specialist. 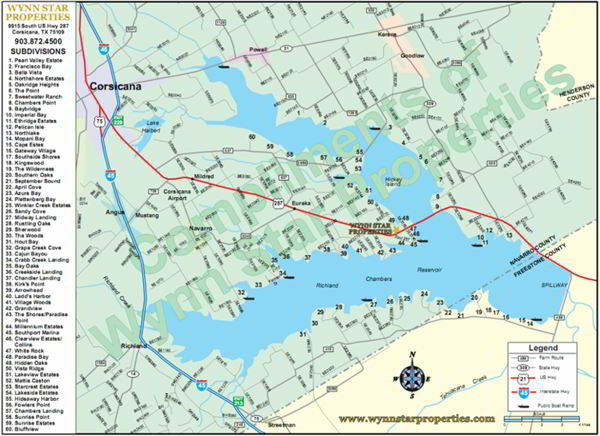 Your search for Richland Chambers Lake are property ends here. Located 15 miles east of Corsicana, Richland Chambers Lake is a perfect place to live for those who enjoy the outdoors close to water. 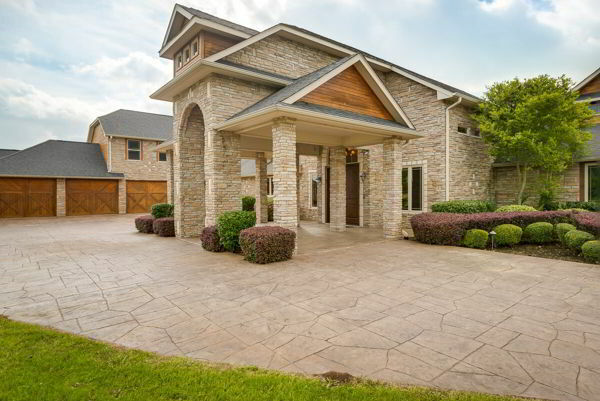 We can show you the perfect lake property. We specialize in waterfront property, lake homes, lake lots and acreage surrounding Richland Chambers lake. 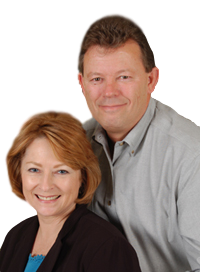 The Wynn Star sales team is made up of Richland Chambers Lake residents who have the personal knowledge you need in your real estate endeavor. This is just the beginning of our promise to you. We are known for our professionalism and commitment to our clients. 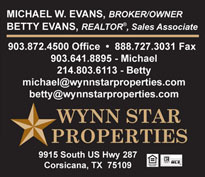 Wynn Star Properties will work hard to assist you in finding that perfect dream property along Richland Chambers Lake.